The National Health Service (NHS) in the UK published a guideline for physical activities for persons aged 65 and up. According to it, adults who have no problems with mobility should stay active on the daily. The recommended activities are a combination of aerobic and strength exercises. The guideline also mentions the number of minutes and intensity of these workouts. It can be a combination of 150 minutes of moderate aerobic exercise plus two days of strength training, 75 minutes of vigorous aerobics plus two days of strength exercise, or a mixture of both moderate and vigorous aerobics plus two days of strength exercise. But traditional forms of workouts may be boring if it becomes a routine, so a good alternative is something dynamic such as gardening. Why is gardening a good exercise? According to the same publication, the activities involved in gardening can be both a moderate and vigorous aerobic activity, not to mention gardening strengthens muscles. Walking and pushing the lawn mower are both moderate activities while shoveling, digging, carrying the gardening supply around your Salt Lake City garden are strength exercises. As for moderate activities, NHS UK enlisted jogging or running. WebMD notes the calories burned for every activity while gardening. It also suggests tips to maximize the calories burned in every gardening activity. One, use a push mower instead of the power mower. Two, choose handheld clippers over electric hedge trimmers. Three, forget about the wheelbarrow when moving plants. Lift and carry them manually. This covers the walking, which is considered moderate activity. The lifting also helps strengthen your muscles. Mow the lawn for 75 minutes alternating it with pulling weed and raking and bagging for another 75 minutes, and then combine it with shoveling and moving soil or rocks. Once the garden is ready for planting, make planting as your moderate aerobic exercise and mix it with raking or sweeping. The moving of plants and landscaping would be the strength exercises. 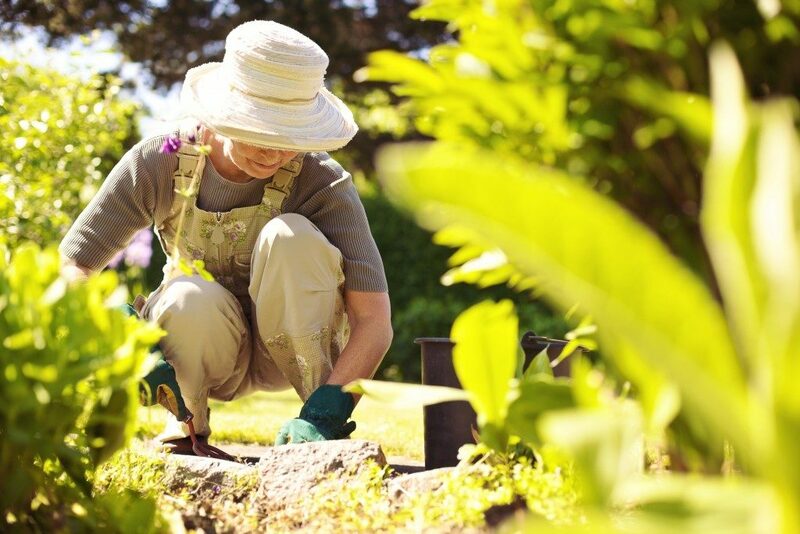 Why is gardening a good exercise for seniors? Aside from the obvious fact that gardening burns calories and strengthens muscles, it is also safe for any mobile senior adult to try. Older adults are at risk of falls due to weak legs and poor balance That said, the traditional cycling or running may not be safe for them. 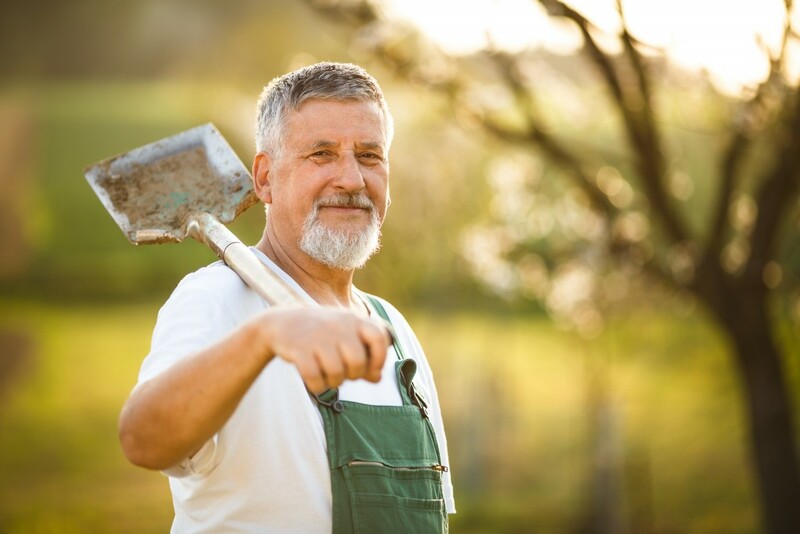 Gardening, on the other hand, allows you to stand, walk, and sit alternately, which means your legs won’t be strained doing the same activities for a prolonged period. Vitamin D exposure. Because you will be basking in the sun almost on a day-to-day basis, you’ll get a daily dose of sunshine. Dementia prevention. A study of adults indicates that activities such as gardening reduce the risk of getting dementia. Mood booster. Seniors, especially retired ones, can get lonely doing nothing. Gardening is a good way to combat it. It can encourage you to communicate with your neighbors or even strangers. To get started on this new adventure, visit the nearest sellers of gardeners’ supply. They may also give you some gardening tips that you can use to keep your plants healthy.